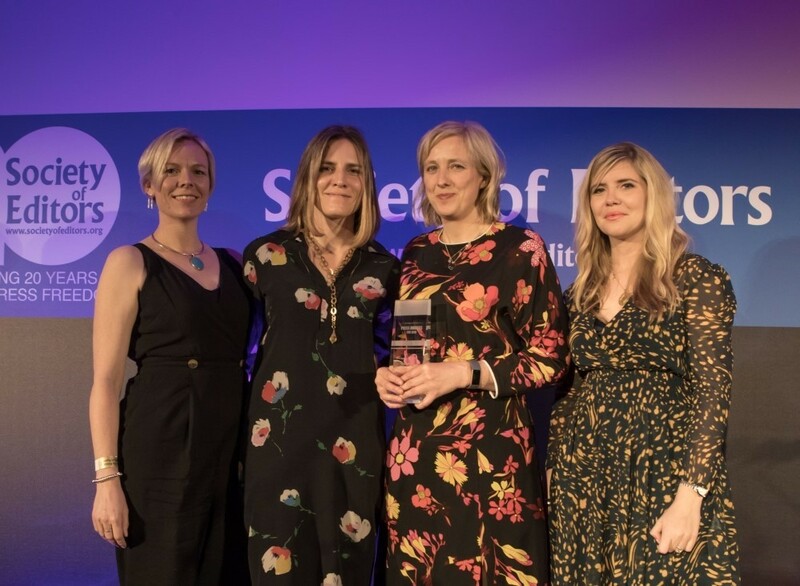 Entries are now open for the Society of Editors National Press Awards for 2018 – the ‘Oscars’ for the UK Press. The Awards will celebrate the best of British national journalism during 2018. With revised, new and returning categories, entries can be made for work published in print, website, online, mobile, video, audio or any other news delivery format in any UK national newspaper or any news website or platform covering UK national news during 2018. Following consultation with the industry, the awards this year will include a number of new categories recognising the Technology Journalist of the Year, Popular Scoops, Investigation of the Year, Magazine of the Year, a Reporting Diversity Award and the Sports News Story of the Year. For the first time the awards will also separately recognise the Daily Newspaper of the Year and the Sunday Newspaper of the Year. 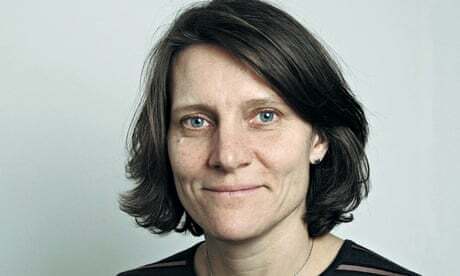 The Royal Lancaster London will provide the backdrop for the most prestigious event in the industry’s calendar with more than 400 editors, writers and columnists coming together to salute the quality, diversity and success of national journalism. The closing date for entries has been extended to Friday 11 January 2018, allowing time for even the very last stories of the year to be included in submissions. A shortlist will be announced in February 2018. 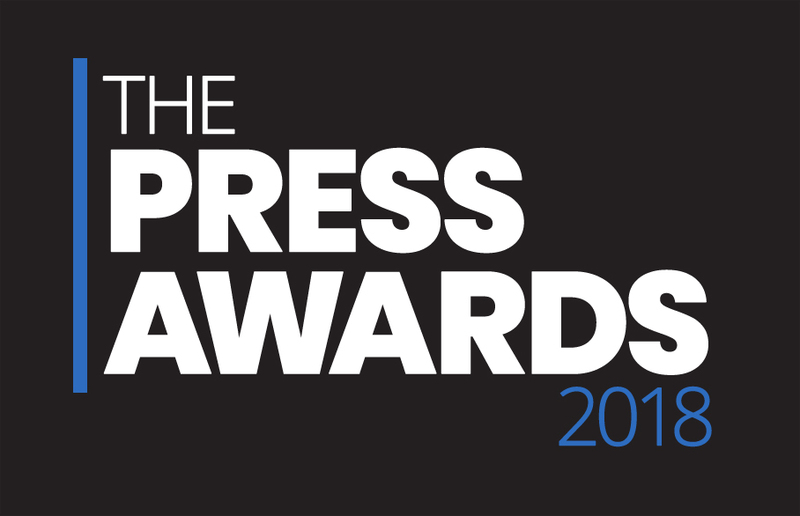 The Press Awards will culminate with a glittering gala dinner on Tuesday 2 April 2018. They are organised on behalf of the industry by the Society of Editors. Proceeds will help fund the Society of Editors campaigning for press freedom. The awards are generously sponsored by Camelot which has supported the Society of Editors since 2001. The awards are also supported by the Journalists’ Charity and the British Journalism Review. A list of categories appears below and full entry guidance is available at www.societyofeditors.org. Any queries should be directed to 01223 304080 or office@societyofeditors.org/ research@societyofeditors.org. A full list of categories and entry guidance can be found here. Open to journalists aged 26 or under on 31 December 2018 and entries can include work from any journalistic discipline. Judges will be looking for the individual who has made significant impact over the year. For reporters, interviewers and commentators who work on economics, City, business and personal finance desks. Judges will be looking for the ability to break news and/or predict trends and/or analyse stories and explain issues to a general audience. The winner will be the reporter who set the agenda with the biggest stories and/ or most revelatory writing. The winner will be the writer whose articles were a must-read for anyone interested in the world of politics. The best writing, the best insight, the greatest authority. For journalists who have been based in a foreign country or from where they have filed work that brings the country and its affairs to light for a UK audience. For journalists who specialise in science journalism. The judges will look for journalists who led their field in 2018 – breaking news and/or analysing trends and throwing light on their subject for a wider audience. For journalists who specialise in health journalism. The judges will look for journalists who led their field in 2018 – breaking news and/or analysing trends and throwing light on their subject for a wider audience. The winner will be someone strong across the diverse range of forms: columns, features, interviews and show reports. Judges will look for writing that is informative, entertaining, and has the ability to engage with readers. The journalist who has shown consistently high standards in breaking technology stories, bringing complicated issues into the public domain and enabled the reader to have a wider understanding of breaking technology news. For journalists covering any issues that concern the environment. The judges will look for the best specialist journalist who led the field in 2018 – breaking news and/or analysing trends and throwing light on their subject for their audiences. For journalists covering travel in all its aspects such as hard news, features and reviews. The judges will look for the best specialist journalist who led the field in 2018 – fine writing, breaking news and/or analysing trends and throwing light on their subject for their audience. For journalists with specialisms not covered by any other category, such as: education, arts, food, gardening, motoring or defence etc. The judges will look for the best specialist journalist who led the field in 2018 – breaking news and/or analysing trends and throwing light on their subject for their audiences. The award will recognise a body of work from an individual or team that in the judges’ opinion has played a significant role in creating awareness of issues of diversity in the UK in all its forms. The submitted articles can include news reports, campaigns, spotlight features or interviews. Judges will be looking for the best scoops and most informed writing in showbusiness which includes the worlds of stage, screen, TV and the music industry. Open to news writers, match reporters, feature writers, interviewers and columnists. Entries may be from a variety of sports or from one specialist area. Judges will be looking for brilliant writing and agenda-setting reporting that gave readers the best insight into sporting events during 2018. This award will be judged in two sections for “pop” and “broadsheet”. Judges will look for brilliant, engaging writing and revelatory news angles emerging from the interviews where the interviewer gets under the skin of the interviewee. This award will be judged in two sections for “pop” and “broadsheet”. The winner will be a journalist who is a must-read, someone with a unique voice and the ability to provoke debate and may annoy as much as delight. This award will be judged in two sections for “pop” and “broadsheet”. Judges will be looking for journalists who demonstrate great writing whether it be in features, news reportage, colour writing, analysis, and backgrounders. For reviews and criticism in any area of journalism – including theatre, dance, music, art, books, film, television and radio, food, etc. Writing that enlightens, compels and entertains the general reading audience will score highly. News and feature pictures are eligible. Judges will be looking for versatility, technical skill and the ability to capture the news picture that matters. Entries can come from a single sport or from several and may be action shots or feature pictures. Judges will be looking for compelling images that get under the skin, capture the essence of a sport or a sports star, or reveal a unique moment of sporting drama. Pocket cartoons, strips, caricatures, political cartoons and illustrations are eligible in this category. Judges will be looking for the stand-out cartoons that feature regularly and that best capture the events of 2018. The winner will be chosen by Women in Journalism which will organise how women journalists can enter. Entries cannot be submitted online via the Society of Editors website. The winner will be chosen by the Journalists’ Charity. This award cannot be entered and carries no entry fee. The story or series of stories on one subject, which everyone else wished they had broken. This can be awarded to an individual or a team. Entrants may submit up to three scoops for consideration but each PDF should be limited to an individual exclusive and its continuation (if applicable). This category is open to journalists or the team who have created or specialise in seeking out stories of popular issues to readers. These could be around celebrities, sports personalities, the unusual, the bizarre, affairs of the heart or the heart-warming. The judges are looking for that one scoop from this field that struck a chord with the public. Body of work that reveals investigative skills of a team or individual to the full, lifting the lid and bringing to light THE investigative news story no other news organisation has discovered. Body of work that reveals the skills of a sports team or individual to the full, lifting the lid and bringing to light a story no other sports news organisation has discovered. Entrants should include the original story and any follow-ups. The award will acknowledge good reporting on ONE OR MORE stories across the year. The judges will be looking for exclusives, expertly researched and brilliantly told. Tenacity, flair and investigative skill will all score highly. In the case of long-running investigations, entrants may include up to three items to count as one story entry. Entries may or may not involve a scoop which has a separate category. A ”magazine” published as an addition to an edition of a newspaper, weekly, monthly or at other regular intervals throughout the year. Entries will be judged on outstanding content, design, use of photography and readability. page published in print during the year. 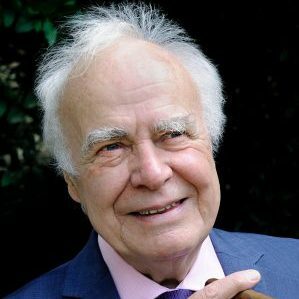 The award, in partnership with the British Journalism Review, commemorates the journalism of the great editor and editorial director Hugh Cudlipp and recognises the Campaign of the Year. It is open to all editors, writers or teams of journalists. It can include campaigns which led to a law change and popular campaigns that captured the nation’s attention and achieved tangible results. This award is judged by a separate BJR panel of distinguished journalists who reserve the right to include nominations of their own. The entry process for the Cudlipp Award is the same as for the general categories. This award will be decided by a distinguished panel of The Press Awards independent judges and carries no entry fee. The judges will look at the overall strength of a news website, either associated with a newspaper or stand alone digital. The judges will take into account innovation, depth of coverage, and content presentation. In the gift of the Chairman of the Judges – an award that recognises a story, a feature, a body of work, a journalist or a team that has broken the mould. This award cannot be entered. The paper that has made the most impact and provided consistent high quality, ground-breaking coverage throughout the year. Judges will take into account not just front page splashes and investigations, but also coverage of sports, features, lifestyle and innovation: the whole package. The Sunday paper that has made the most impact and provided consistent high quality, ground-breaking coverage throughout the year. Judges will take into account not just front page splashes and investigations, but also coverage of sports, features, lifestyle and innovation: the whole package.